WASHINGTON — What can we expect of Brett Kavanaugh if he’s confirmed as Justice Anthony Kennedy’s successor on the Supreme Court? Kavanaugh’s record and background show he will be a fair, impartial and principled justice — and that’s precisely what our nation needs. 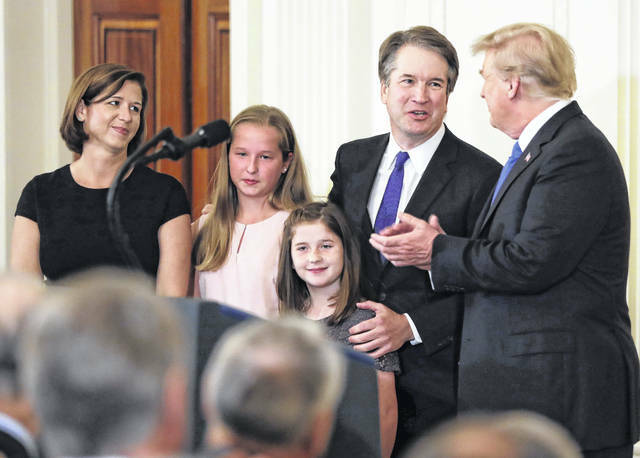 A graduate of Yale College and Yale Law School and former law clerk to Justice Kennedy, Kavanaugh has served for the last 12 years on the U.S. Court of Appeals for the D.C. Circuit. On this court, Kavanaugh has tackled weighty issues from the First Amendment’s ban on the establishment of a particular religion by Congress and the Second Amendment’s guarantee of a right to bear arms to the constitutionality of administrative agencies such as the Public Company Accounting Oversight Board and the Consumer Financial Protection Bureau. Kavanaugh is regarded as “one of the finest and sharpest legal minds of our time,” Trump said. Indeed, in addition to writing more than 300 opinions on the appeals court, he speaks and writes often about the separation of powers, agency deference and statutory interpretation. He also co-authored a book on the topic of precedent along with Bryan Garner and 11 other judges, including then-Judge Neil Gorsuch. As a judge on a court dominated by Democratic appointees, Kavanaugh is often in the minority, issuing powerful dissents that the Supreme Court has cited in several cases. For example, a 2014 case looked at whether the Environmental Protection Agency could ignore cost-benefit analysis when considering a proposed hazardous air pollutants rule that would cost power plants an estimated $9.6 billion a year for a societal benefit amounting to no more than $6 million a year. The D.C. Circuit deferred to the agency’s interpretation of the law. But Kavanaugh wrote a separate opinion noting it was “entirely unreasonable for EPA to exclude consideration of costs,” under the relevant statute. Two years later, the Supreme Court agreed with Kavanaugh’s criticisms and reversed the decision. In a 2008 case, the D.C. Circuit dealt with the structure of the Public Company Accounting Oversight Board. Congress had created it by statute and then insulated its board members from presidential control by having them appointed and removable only for cause by members of the Securities and Exchange Commission. Kavanaugh dissented from his court’s ruling that this arrangement was constitutional. He wrote that the dual protection clause would “eliminate any meaningful Presidential control” and noted that the president’s removal power is “critical” for him to “perform his Article II responsibilities.” The Supreme Court agreed with Kavanaugh. Kavanaugh is a judge who understands that he has an important but limited role in our system of government. That’s why he strives to interpret the law and constitutional provisions by their text and original public meaning, and above all strives to be a faithful servant to the Constitution. That’s exactly what our country needs on the Supreme Court. Elizabeth Slattery is a legal fellow at The Heritage Foundation and host of SCOTUS 101, a podcast about the Supreme Court. 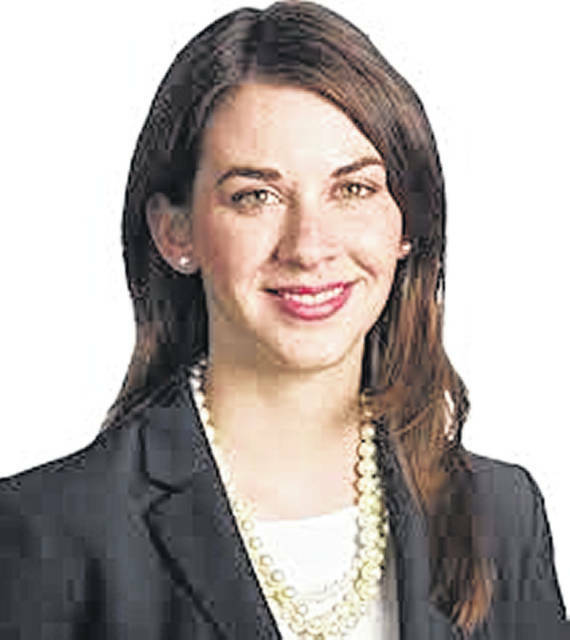 She is a graduate of George Mason University’s Scalia School of Law and holds a bachelor’s degree in history from Xavier University in Cincinnati. Readers may write her at Heritage, 214 Massachusetts Ave. NE, Washington, D.C. 20002-4999. This entry was tagged KAVANAUGH-PRO-CON. Bookmark the permalink.